I have to make an image starting from a cadastal map (monocromatical image) and an orthophoto (RGB image). Both are in tif format. The images are perfectly coincident, resampled to have the same pixel size and same system reference coordinate SRC. The cadastral image is black and white (black = 0, white = no data). Initially I had thought of using a merge tool of QGIS to merge the two raster, but it seems that this procedure does not work perfectly: I get the same orthophoto by losing the cadastral margins. Using the blend function of the PIL library in python you get something that remembers the result I should have, basically playing on the transparency of the layer that overlaps. Instead, I'd like to get a final picture where you can see the cadastral boundaries on the orthodox background. I put un example image to try explain better what I want realize. Can you help to me to find a solution? Browse other questions tagged qgis image or ask your own question. High resolution is RGB image is not coming clear and sharp? 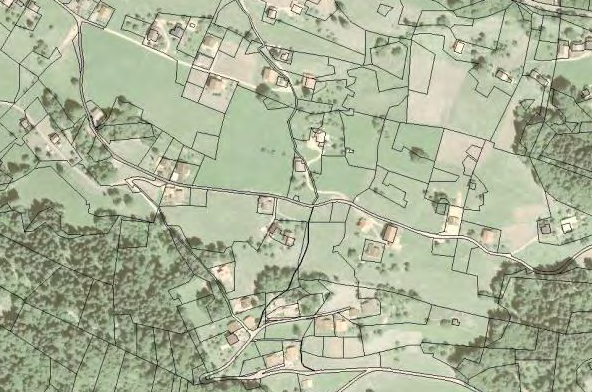 Georeferenced images not lining up correctly with one another in QGIS?